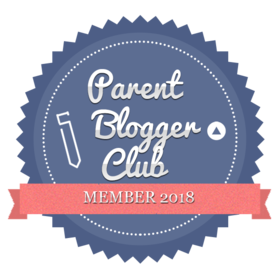 Having only been blogging for a few months I feel very privileged to have been nominated for yet another Blogger recognition, this time The Sunshine Blogger Award. I would like to thank the wonderful Christina from StinaSphere for my nomination. Christina is a 20-something lifestyle and beauty blogger, her site is full of wonderful make up and skincare tips whilst offering a peek inside her world too – I really love this post about her return to college for Senior Year. Make sure you head over to her website and check out her content. 1. Thank blogger(s) who nominated you in the blog post and link back to their blog. 1. I personally support addiction awareness in hopes of stopping the stigma surrounding drug addiction. Do you support any causes? 2. If you had to live in another country for a entire year, where would you live? I would love to live in the US, in particular New York. I’m not quite sure why, but I have always had a longing to visit and the opportunity to spend a year there would be a dream come true. I would really be able to immerse myself in the city properly. 3. A very important question: Starbucks or Dunkin? Or if neither, what coffee shop is your favourite? I haven’t been to a Dunkin – to my knowledge they don’t have them here in the UK- and I’m not a coffee drinker. I do love a trip to Starbucks for a Strawberries and Cream Frappuccino though if that counts! 4. If everything goes according to your plans, where do you see yourself in ten years? 5.What was your favourite toy when you were a little kid? My favourite toy as a child had to be my Fisher Price Al -a -Carte kitchen! At the time it was the top of the range kids play kitchen. When my Grandad bought it for me it quickly became my pride and joy and I even kept it for years after I had outgrown it! Looking at it now it was so basic compared to the fancy toy kitchens kids have today! 6. If you could trade places with any one person for a day who would it be, and why? I would love to trade places with my husband as I think it would be interesting for us to swap places to enable us to gain a better insight and understanding into each other’s day to day life. This is an easy one! My favourite author has to be JoJo Moyes who wrote the book Me Before You. I was gifted the book years ago – long before the film – and fell in love with her writing style. I have since devoured all of her books and eagerly await her newest release at the end of January. 8. I am trilingual myself and I love learning languages. If you could instantly be able to speak a foreign language fluently, what language would it be? I was terrible at languages at school and haven’t improved with age! I would love to be able to speak fluent Spanish as I feel it’s much more useful in this day and age than the French and German we learnt at school back in the 90’s. 9. Would you rather be a comedic genius or an intelligent genius? I think I would rather be a comedic genius as it’s something you would struggle to improve you either have it or you don’t. You can always study hard to improve your intellect. 10. Who and/or what is your spirit animal? Is it alright to say I don’t know? 11. What are your blogging goals for the year of 2018? As 2018 will be my first full year of blogging I just want to continue writing interesting content that I hope others will enjoy reading. I have no real expectations, however if opportunities to grow my blog come along that would be fantastic. Be sure to check out their blogs !!! If you were given 1 million pounds to spend on anything you wanted what would you buy and why? If you could invite four people to a dinner party (dead or alive) who would you ask? Are you an early riser of a night owl? If you could be granted one wish what would it be? If you could only eat one food for the rest of your life what would you choose and why? Who would play you in a movie about your life ? Lovely post! And congratulations on being nominated! My response to swapping lives with someone for a day would have been exactly the same! New York is awesome! You should definitely come visit! Congrats on the award! Congratulations! I’d love to go to New York too! Brilliant post, congrats on the nomination! Congratulations on being nominated. I loved reading your answers to the questions! Congratulations on your nomination! I’d love to visit New York too! Jojo Moyes is a well loved author of mine, Me Before You was amazing I always make sure I read the books before I watch the films of them!